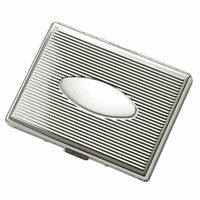 The raised silver stainless steel badge is the star of the show in this elegant money clip style! 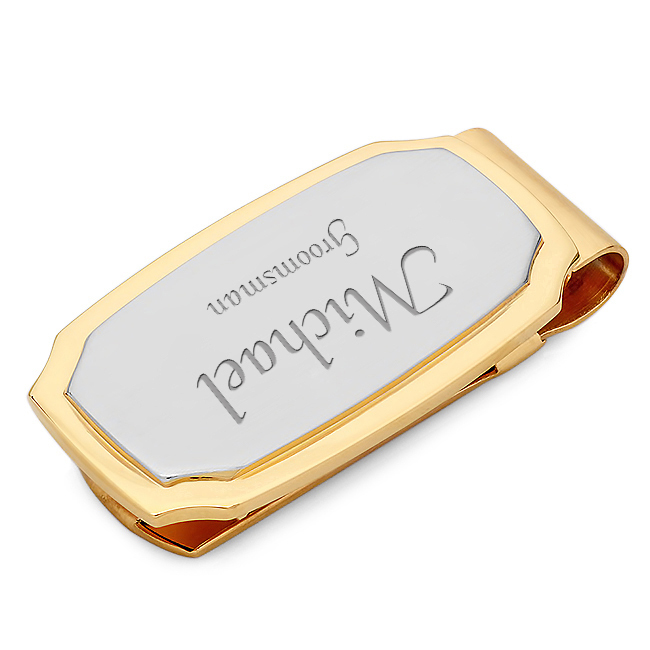 It is set onto a gold-plated steel money clip that sets the border for custom engraved name, initials or short message! 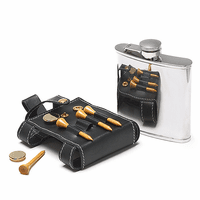 The spring-loaded mechanism grips up to 25 folded bills, and opens easily to add and remove cash. 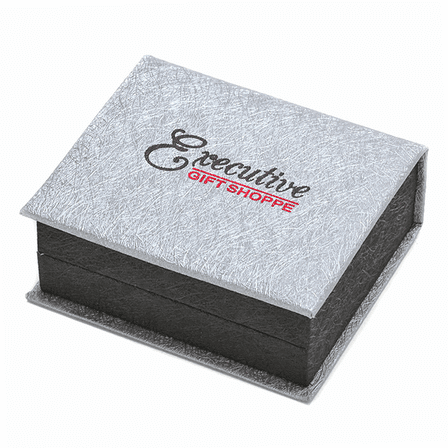 The engraving is free, and we will ship it out to you within 1 business day, packaged in a jewelry gift box that's ready to present at the perfect moment! 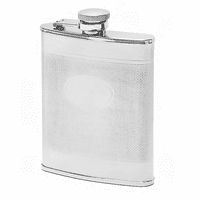 Dimensions: 2" x 1" x 1/2"
Can you laser etch a company logo on these? 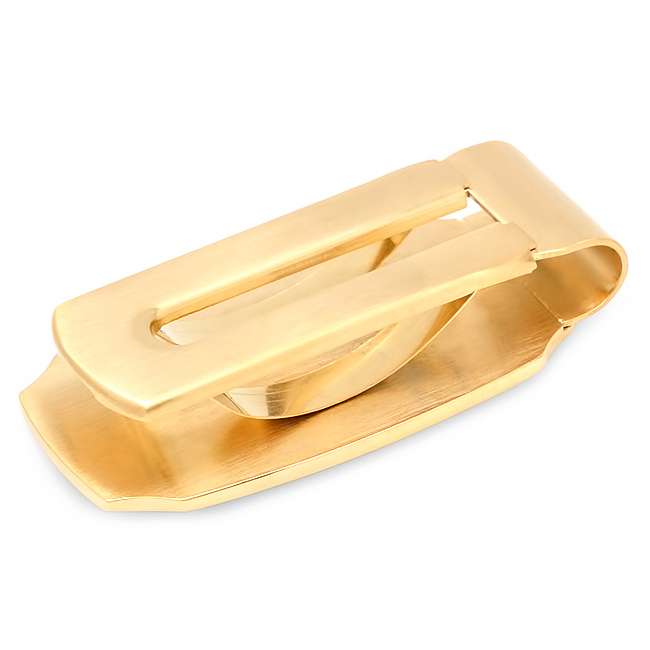 Piece is very nice.. quick ship & good service. It is great for not carrying a lot. Unfortunately, my husband will be limited since won't fit a lot and a small clip.